Headaches are a common complaint at chiropractic clinics. There are many causes of headaches, some of which are “idiopathic” or unknown. Some headaches arise from “vascular” (blood vessels) causes such as migraine and cluster headaches. These often include nausea and/or vomiting and can be quite disabling and require rest in a dark, quiet place sometimes for a half or a whole day. Another type of headaches can be categorized as “tension” headaches. These usually result from tightness in the muscles in the neck and upper back caused from stress, work, lack of sleep, sinusitis, and trauma (such as whiplash). So, “how does chiropractic work?” To answer this, let’s first discuss what a doctor of chiropractic does when someone with headaches presents for care. First, the history is very important! Here, a doctor of chiropractic will ask about how/when the headaches started. This may glean the actual cause of headaches such as a car accident or injury of some sort. Next, they’ll ask about activities that increase or create the headache, which gives them ideas of how they might help manage the headache patient. For example, when certain activities precipitate the onset of a headache, the doctor will offer assistance in how to modify the workstation and/or give specific exercises on a regular schedule to keep neck tension under control. The quality of pain (throbbing = vascular, ache and tightness = neck), intensity of pain (0-10 pain scale), and timing (worse in the morning vs. evening) help them track change after treatment is rendered, usually gathered once a month. The examination includes measuring the patient’s blood pressure which can in itself create headaches when high, looking in the eyes to view the blood vessels in the back of the eye to make sure there is no evidence of increased pressure against the brain, ears – to see if there is an infection or wax blockage. This can help if there is dizziness and/or balance loss. 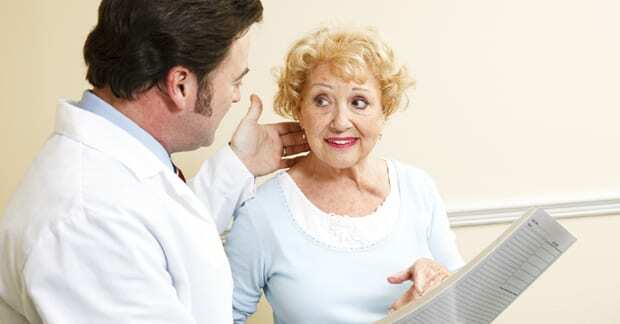 The doctor of chiropractic will sometimes listen to the throat as well as the heart to see if there may be a blockage, a valve problem, or other issues. Neck muscle tightness (spasm) will be evaluated along with the range of motion, paying particular attention to the positions/directions that increases and decreases pain, especially those that decrease pain. Nerve function will be observed by checking reflexes, sensation, and muscle strength as well as correlating information like positions that decrease arm or leg pain will be included as any position that reduces pain in the arm or leg must be incorporated into an exercise. X-rays may include bending “stress” views so that ligaments (that hold bones together) can be evaluated for “laxity” (torn and unstable). When this is found, the doctor may avoid adjustments to these vertebrae. As you can see, if is very important do a thorough evaluation so headache patients can be properly managed. Treatment approaches include: 1. Adjustments; 2. Soft tissue therapy (trigger point stimulation, myofascial release); 3. Posture correction exercises and other exercises; 4. Education about job modifications; and 5. Co-management with other healthcare providers, if medication or injection therapy is needed.